Welcome to Pendark, a city of murky canals, brutal gladiator fights, and sorcerers who feud over access to the silvery magical substance known as Watermight. Tamri is a scrappy magic thief who’s trying to get her grandmother out of this festering swamp of a city. 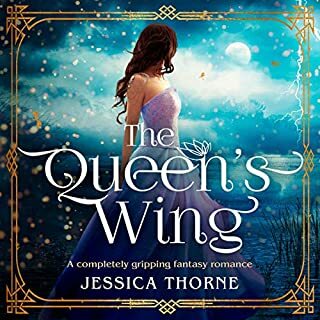 But when a quick score involving a dragon goes wrong, she’s shipped off to a distant mountaintop kingdom where the legendary Fire Queen is starting a school for magic wielders. Tamri's not just going there to learn. 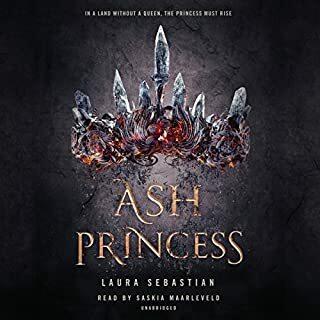 The King of Pendark suspects the Fire Queen is up to something more dangerous than training young wielders, and he orders Tamri to find out the truth. If she fails, neither she nor her grandmother will survive the school year. This story took me surprise! Not only was it refreshingly original, the narraration was simply fantastic! ❤ I highly suggest this book!! First, the narrator does a fantastic job of switching between voices. The story aside,her vocals we're pleasant, captivating, and enjoyable to listen to. She really brought the characters to life! 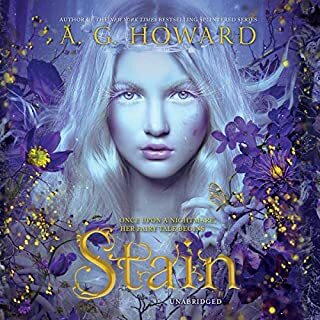 Second, I have not read the other series that takes place in this world, however, I can say that this book is very enjoyable and understandable without reading the other series. 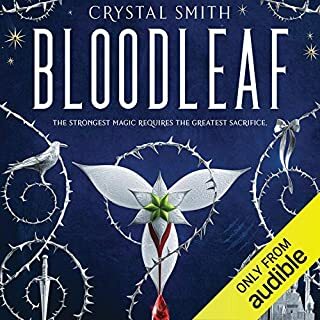 I thoroughly enjoyed the world this book is set in and that the magic aspect of the story is done differently than the average story containing magic and it works incredibly! I do not want to give away any spoliers, so I will just say that I am looking forward to the next book so I can see how the characters hand what comes next and how the relationships develop, the hard part will be waiting!!! I was given a copy for an honest review of the book.. I really enjoyed this story and look forward to seeing where the author takes it next. I love magic, dragons, romance, and the spying. I think it could have been a little edgier, but I feel like this is a great read that won't leave you with an awful hangover. The Duel of Steel series is one of my favorites and I was so glad to the store now continues with The Watermight Thief. The book was as great as the original series and I can't wait for the next. I was introduced to this book by the author on a facebook page. After reading the synopsis I decided it was the kind of thing I would usually read and decided to give it a go. All I can say is, where is the sequel already? I've been in a reading funk for quite some ti.e and this managed to get me out of it. The characters are well thought out and well written, likeable where necessary, despicable where needed. The story itself has been done several times before. Underdog gets into trouble with higher powers, charms them all, has her biggest critic fall in love with her and eventually comes to save the day. It's been done so many times that it's now difficult to write a story which feels original, remains engaging and keeps me turning the pages. 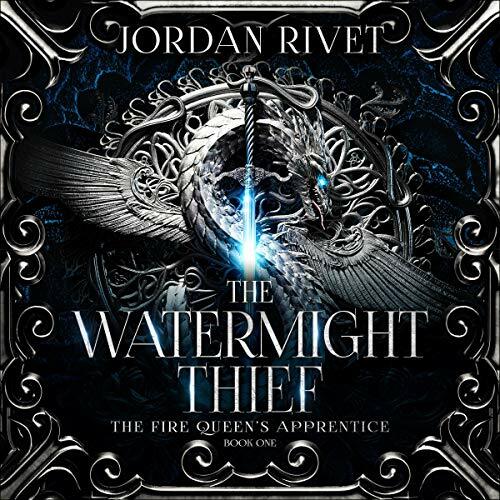 Somehow Jordan Rivet manages it. I find her style and story telling to be a mix of JK Rowling and Trudi Canavan, I believe fans of either author will like this book. Coming from me, this is high praise indeed as they're my two favourite writers. I truly hope the sequel is already in progress and can't wait to read it. 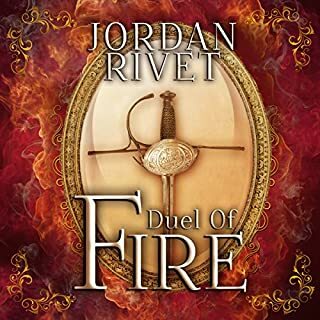 This was the first Jordan Rivet book that I have read, so I was not sure what to expect. I have to admit the cover is what caught my eye originally, it is absolutely stunning. Once I started the book, I found it to be a really interesting story, in an intriguing world, which I would love to see a map of. 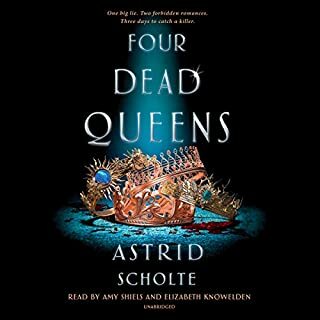 I listened to the audiobook version, which I have to say I really enjoyed. The narration is brilliant. Caitlin Kelly read it well. The characters were really interesting, I liked the contrast between the two narrative perspectives. Tamri and Selivia, one of which is a family orientated, poor thief from the swamps of Pendark, the other a princess. Both of which are strong female leads. Story wise I enjoyed it very much, and yes there are dragons, and dragon riders. Who could resist anything dragon? Need I say more. I will have to read the prequel now, Steel and Stone, as I have heard that the characters, such as Selivia are in it. I would love to get a greater insight into them.